Initially, NiRA changed the landing page of DomainKing.NG providing contact information; as of today, NiRA appears to have allocated a substitute registrar for the task. 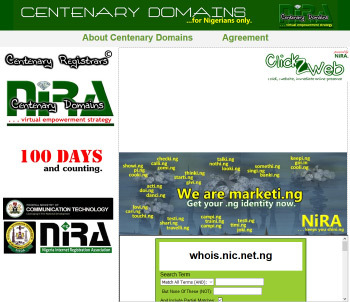 DomainKing.NG now forwards to Centenary Domains, NiRA’s own registrar. Operating from CentenaryDomains.NG, the substitute registrar will hopefully address the many issues that registrants of .NG domains are facing, all while the DomainKing.NG operations have ceased. National ccTLDs are managed by the local country organizations and are separate from ICANN. NiRA will now have to decide whether DomainKing.NG will be discredited as a registrar for .NG domains, pending news from the Indian authorities that are handling the case. #Nigerian domain registry to auction premium .NG #domains via Twitter!